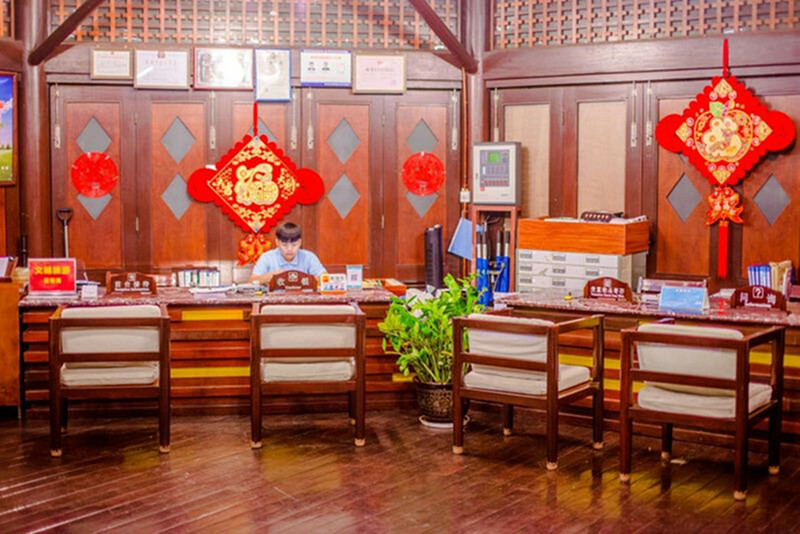 All the special offers include buffet breakfast, local tax, service charge and 2 entrace ticket to Daxiaodongtian for 2 adults/room/night. Extra bed: CNY280/bed/night with 1 person’s buffet breakfast, local tax service charge and 1 entrance ticket to Daxiaodongtian. 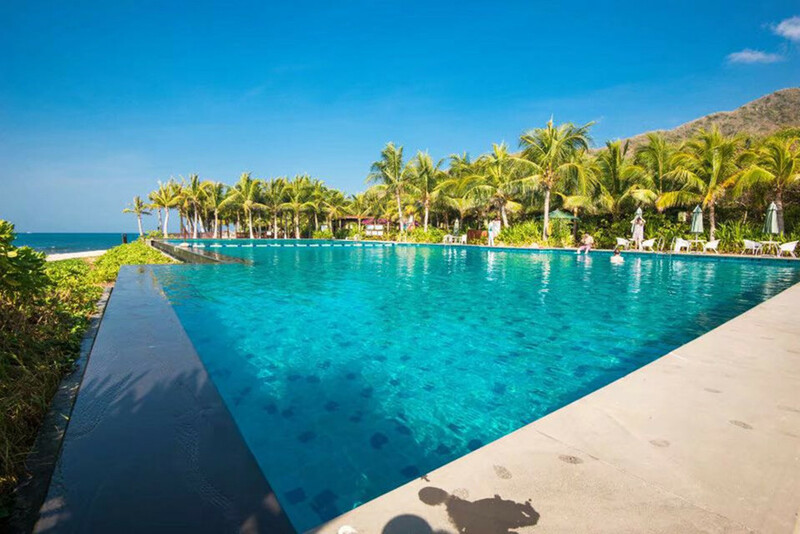 Moon Bay Resort & Spa on Sanya Hainan Island, nearby Daxiaodongtian Attraction大小洞天景区, Beach Front Bungalow on Sanya Hainan Island. 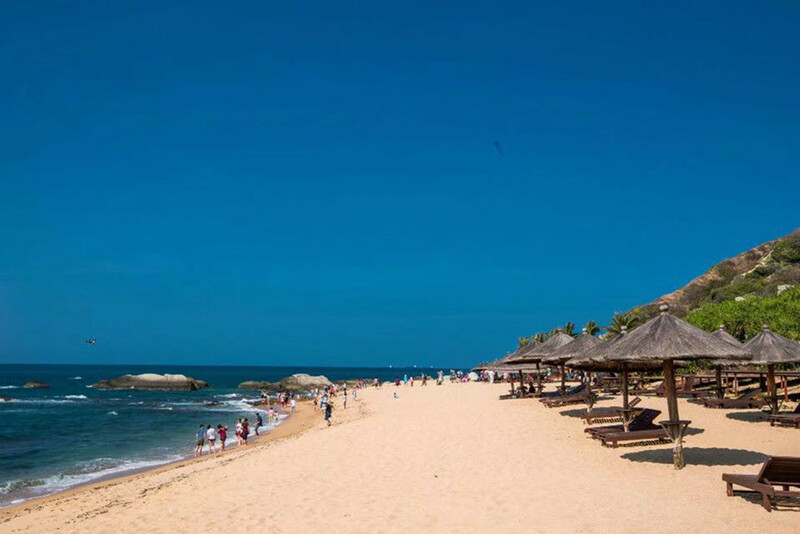 Sanya Moon Bay Resort is about 15-minute to Nanshan Buddhism Culture Park, a 30-minute drive from Sanya Phoenix International Airport, a 40-minute drive from Sanya Train Station and downtown Sanya as well as a 50-minute drive from Downtown Dadonghai or Sanya Yalong Bay. It is located right on Moon Bay. 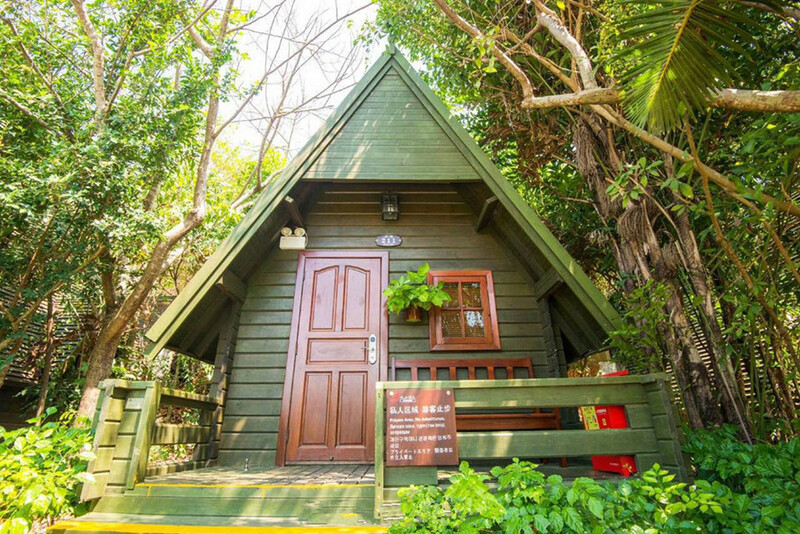 It is a very good choice to stay overnight in a very quiet beachfront bungalow in Moon Bay Resort. 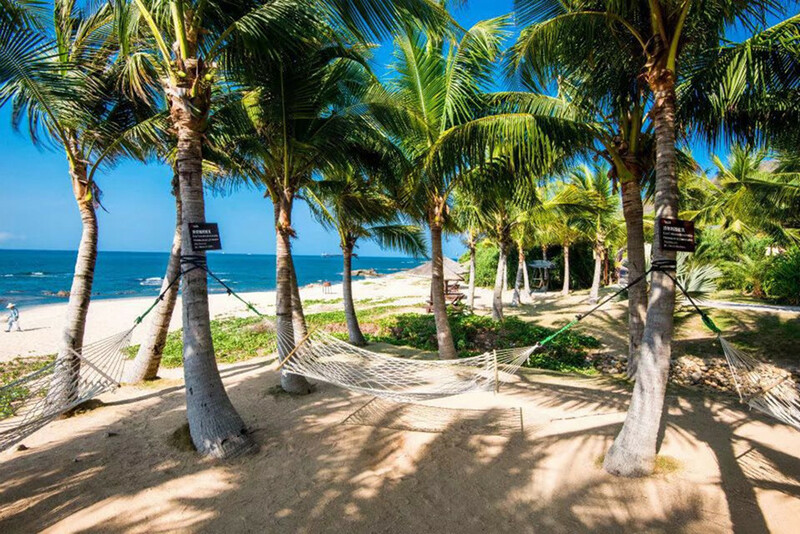 We have been getting a request for a beachfront bungalow in Sanya, but there is very limited availability for a true beachfront bungalow. 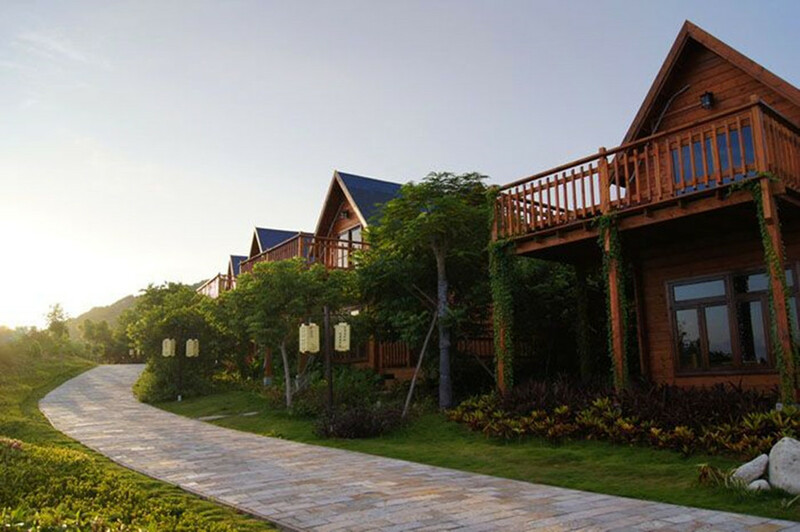 During my recent trip to Dongtian Park in Sanya, I got known there is a super new resort named Moon Bay Resort & Spa with the beachfront bungalow. 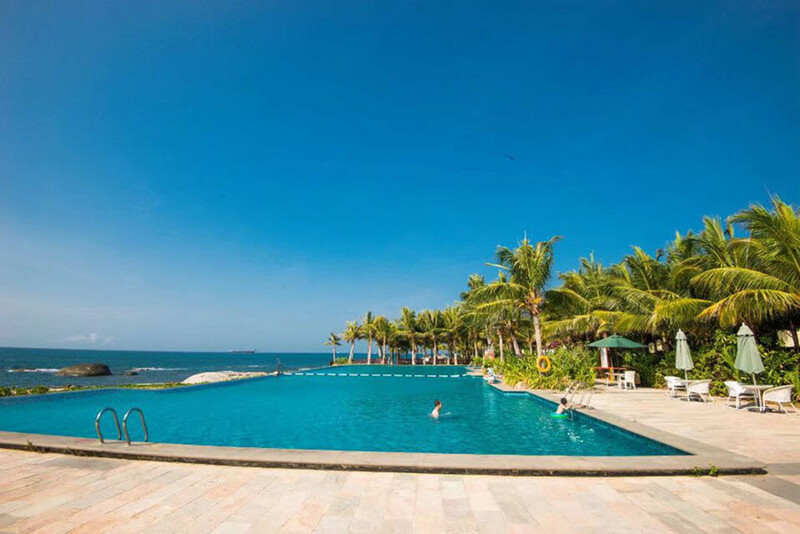 The Resort is full services including outdoor swimming pool, restaurants, bars & BBQ garden. 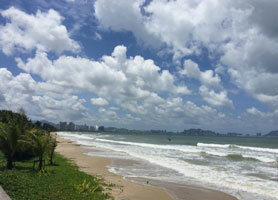 We checked all facilities and believe it is a true beachfront bungalow in Sanya. 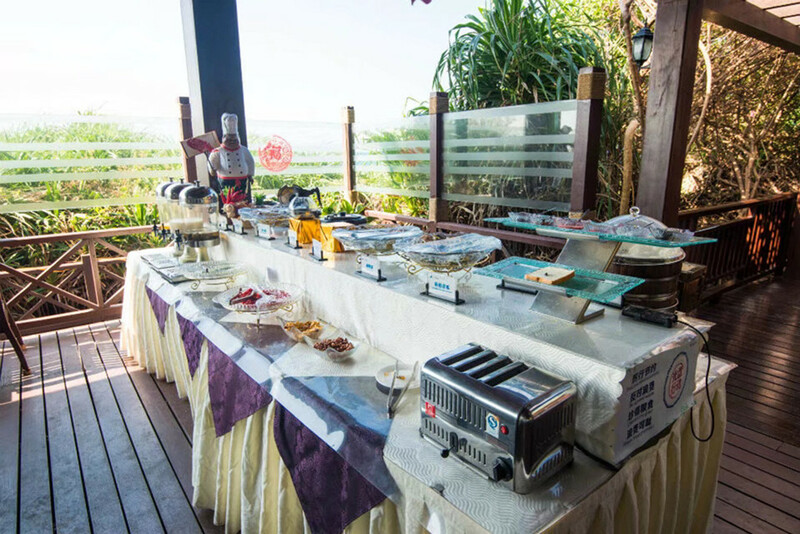 Our rate all include maximum 2 person’s breakfast, local tax, service charge & entrance ticket of The Dongtian Park. 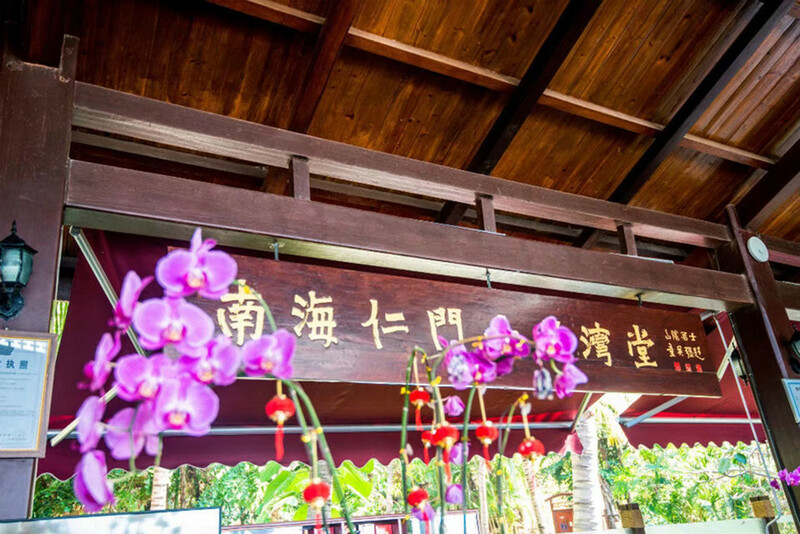 Extra bed costs CNY280/night with one buffet breakfast and entrance ticket of The Dongtian Park (Superior Bungalow can not put extra bed) . 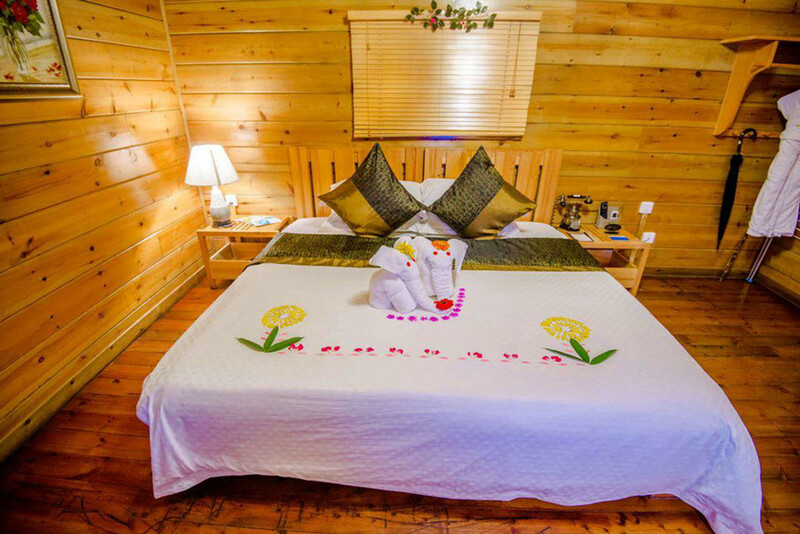 Superior Bungalow with King or Twin bed: A total of 16 guestrooms, equipped with split air-conditioner, safe, TV, phone, etc. The room is 20 sq. meters, king bedroom with a 1.8 meters×2.0 meters bed or twin bedroom with two 1.2*2 meters beds, internet access free of charge, extra bed is available. Duplex Ocean View Suite with King Bed only: A total of 5 suites, large ocean view balcony with chair and table, equipped with split air-conditioner, safe, TV, phone, etc. 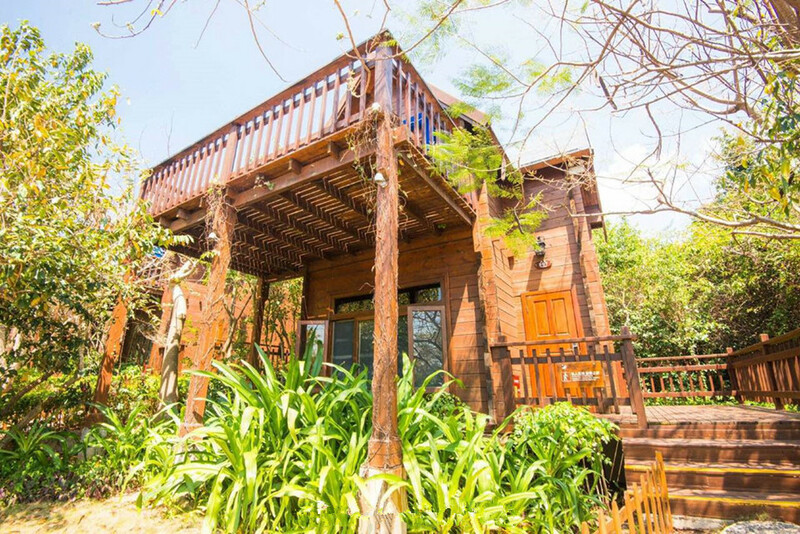 The room is 70 square meters, with a 2.0 meters×2.0 meters bed, sitting room on the 1st floor, bedroom on the 2nd floor, internet access free of charge, extra bed is available.